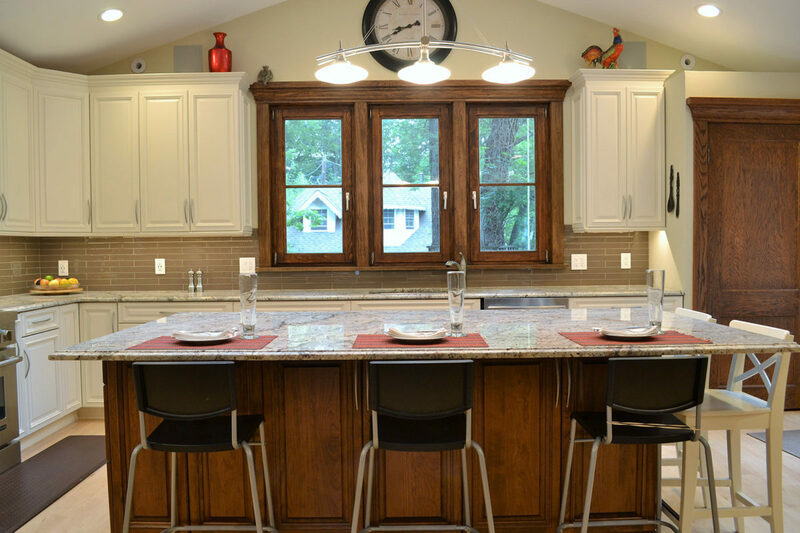 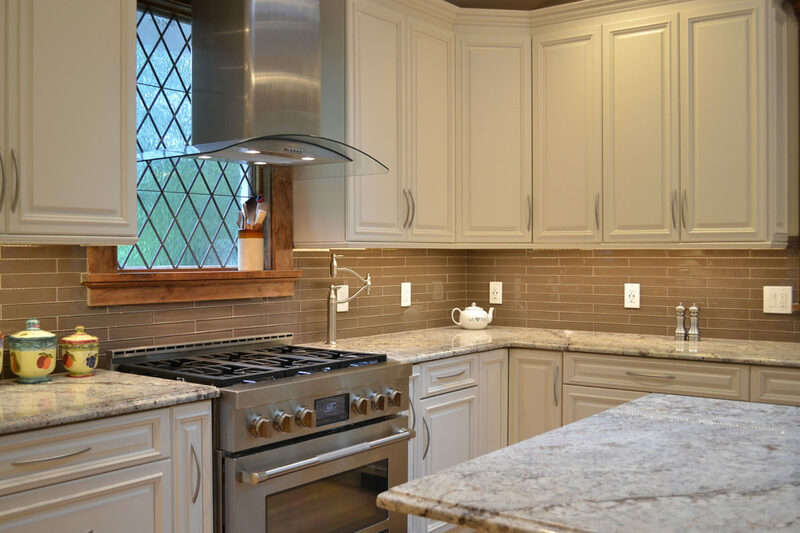 This kitchen addition blends historical European craftsmanship with modern amenities. 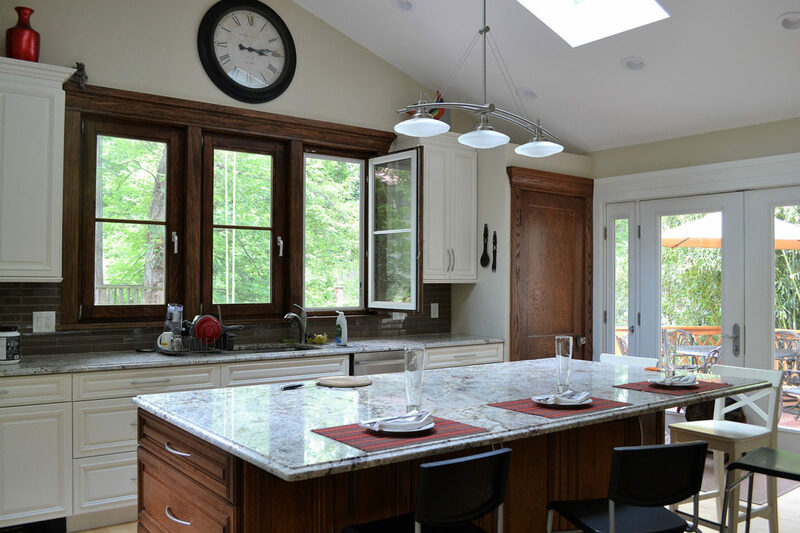 The cathedral ceiling and oversized center island give a sense of grandeur while the wood grain of the Marvin Tilt Turn windows and door match the original diagonal muntin window and trim seen throughout the house. 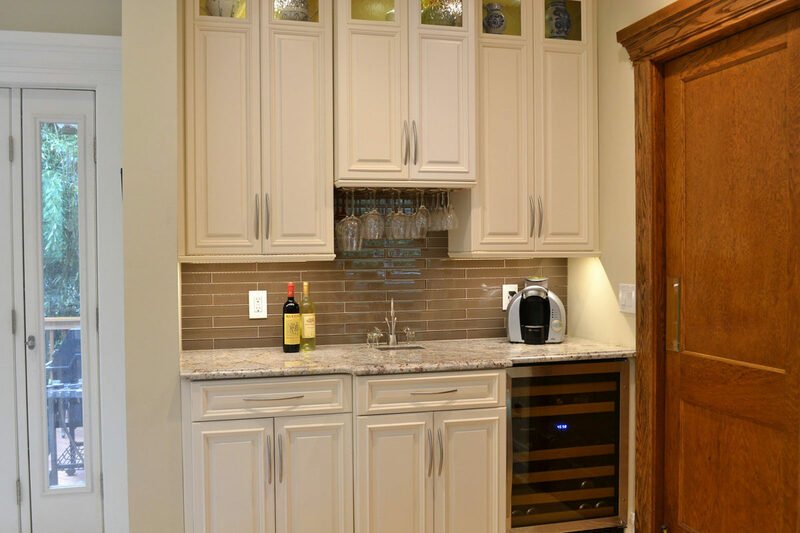 The kitchen shines in the modern era with automatic timers on electrical switches and built-ins such as a speaker system, charging station, and wine fridge. 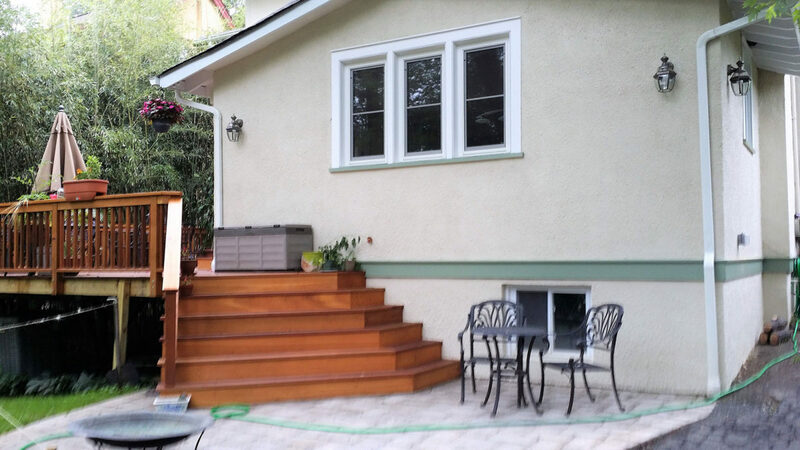 The doors lead to a brand new deck where the addition exterior matches the existing exterior perfectly.